If you want to give yourself a wonderful holiday in the magical atmosphere of Cappadocia, you can take a breather at the Museum Hotel. If you are bored with ordinary accommodation experiences and wonder how you would like to stay in the stone cave walls, this is the place for you. You can dine in the Lil balona à la carte restaurant with your loved ones and daydream about the hot air balloon tour the next day. While you are enjoying your holiday in Cappadocia with a magical atmosphere, the Museum Hotel is considering every detail for you. On-site services include private Cappadocia tours, horse riding and horse tours, and Semah shows. You only make the choice. 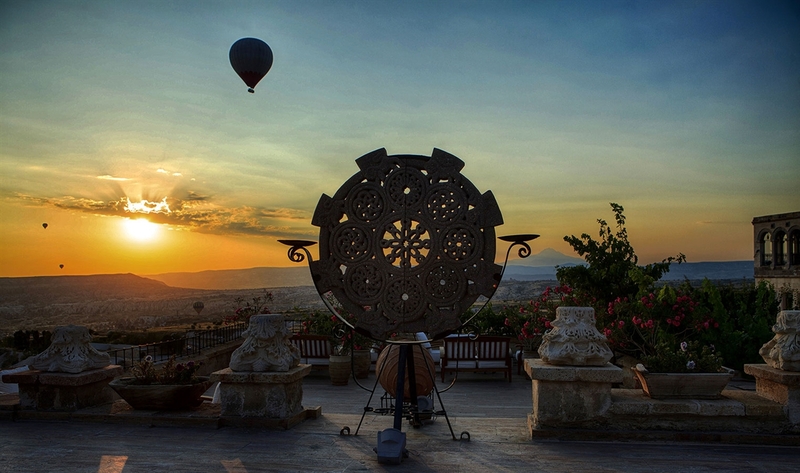 You may even want to settle in Cappadocia where you will feel like you are in a dream. Situated in an area of unique beauty, Museum Hotel welcomes its guests with 30 rooms in total. You can see the most popular places of Cappadocia from the hotel terrace and many rooms. 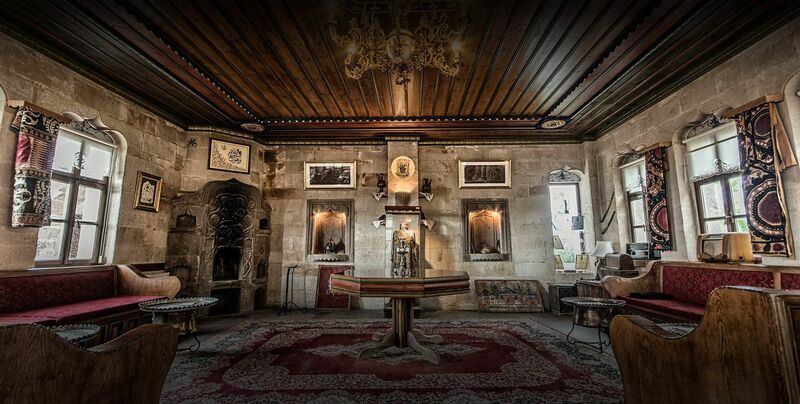 Cappadocia Museum Hotel, which adopts the quality service concept and always focuses on better, has a long history. Turn this property into a great experience. Deluxe room, deluxe suites, junior superior suites, superior suites and imperial suites, such as beautiful and stylish room options are offered to guests. Each room has its own concept. 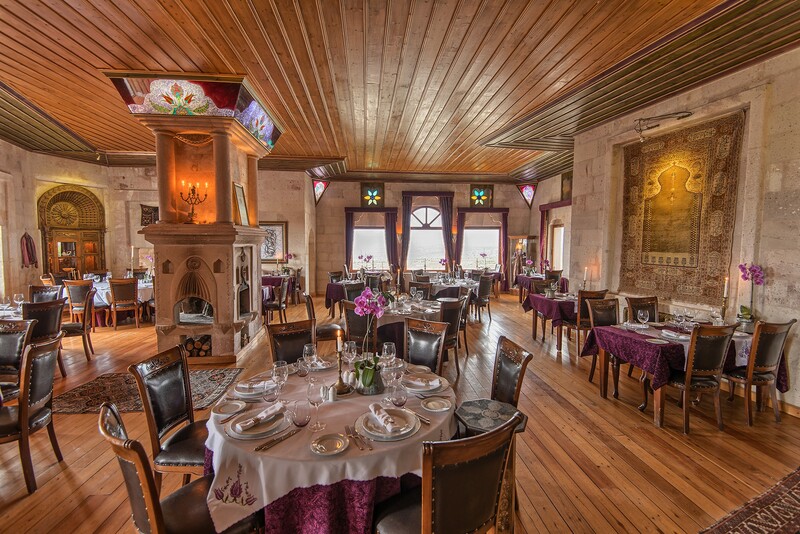 The Cappadocia Museum Hotel offers cooking lessons and offers a different service from other hotels. When you come here, you can benefit from the special service. Museum Hotel may be the right choice to celebrate your special days in the magnificent scenery of Cappadocia. 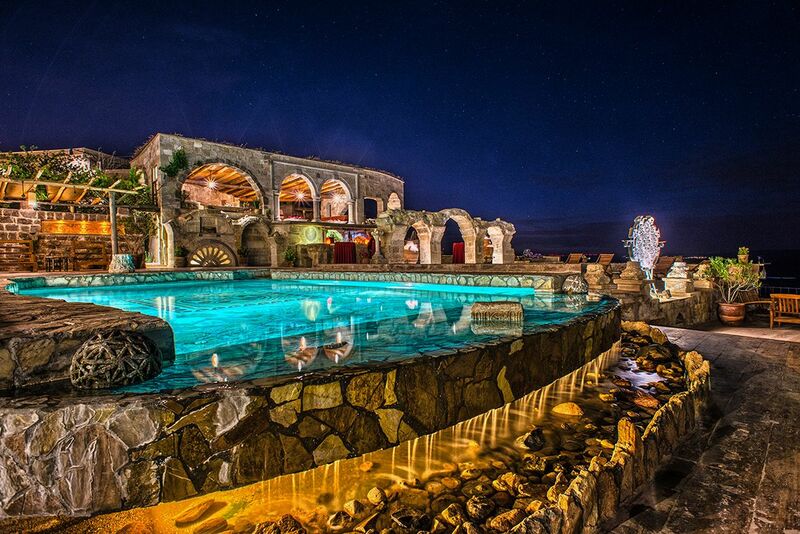 Museum Hotel is one of the most outstanding hotels in Cappadocia. Cappadocia Museum Hotel is also a pet-friendly establishment. You can take your pet with you when you stay here. Conditions of use of the open areas of the hotel may vary depending on weather conditions. It is possible to enjoy your drinks and enjoy the spectacular views of Cappadocia on the terrace. If you would like to experience the massage in the terrace view, please feel free to contact the Cappadocia Museum Hotel. The expert masseuses in field help your body relax. Museum Hotel has a cave hotel concept and offers special rooms for people with claustrophobia. Just let the hotel know in advance. Museum Hotel has 24 hours of uninterrupted internet connection. In this center, you can find equipment such as computer, scanner and printer. If the weather conditions are appropriate, you can have fun with your family in the outdoor swimming pool at the Museum Hotel. Museum Hotel, which is always near the disabled people, also offers disabled parking and areas suitable for wheelchair use. You can pamper yourself with room service at any time. If you are going to the hotel with your own car, you can use the car park of Museum Hotel. In the SPA center, you can have a massage, body care, and refresh yourself, and if you have health problems, you can also contact the hotel doctor. We also note that the Museum Hotel does not accept children under 12 years of age. Museum Hotel is located at the peak of Cappadocia. Cappadocia Museum Hotel offers a view of Mount Erciyes, Avanos, Güvercinlik Valley, Göreme, Ortahisar, the Red Valley and the Lovers Valley. It is possible to dive all over Cappadocia from a single area. Cappadocia Museum Hotel is located in the Uçhisar area. 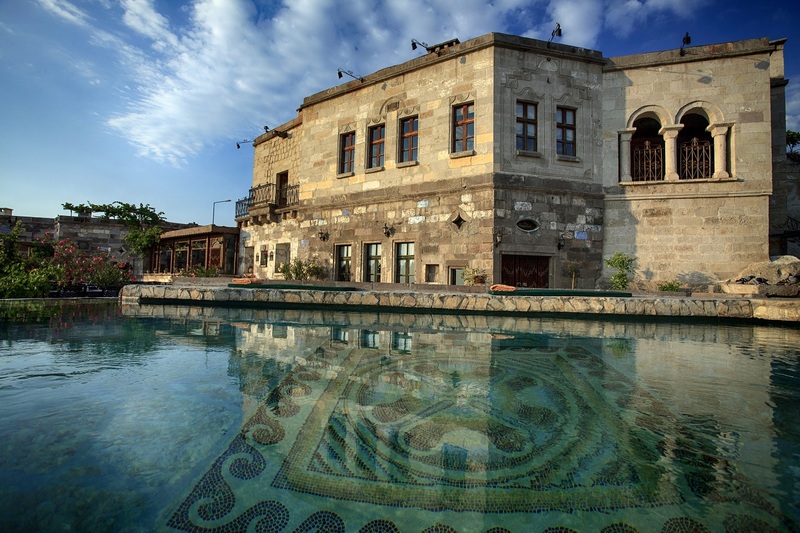 The Cappadocia Museum Hotel is located in the Uçhisar area of Cappadocia. If you want to reach the region by air, we would like to state that there is no airport in Cappadocia. However, by providing air transportation to Kayseri or Nevşehir, you can reach Uçhisar by private transfer or other transportation options. After arriving in Uçhisar, you can reach the Museum Hotel by taking a taxi. You can also benefit from the hotel’s transfer services. Museum Hotel services between the services to reach the airport with a transfer service is available. The only thing you have to do is inform this situation when booking the hotel. If you want to go on a long train journey and reach the Cappadocia Museum Hotel at the end of this journey, it is possible to realize your train journey to Kayseri. After arriving at the railway station in Kayseri, you can take the vehicles, which go to the terminal, which is 15 minutes away from the railway station, and direct you to Uçhisar region. Cappadocia Museum Hotel, this method of transportation options is highly preferred, of course, more time. Another way to reach Cappadocia is by road transportation. You can choose buses from Nevşehir to your home or from Cappadocia. Istanbul – Ankara highway has an important place for you to make a fast transportation. If you are going to Cappadocia from the Aegean Region, you can choose the Afyon road and the Samsun road from the Black Sea. You can also send private transfers by contacting Museum Hotel staff. You can reach Cappadocia Museum Hotel more easily. 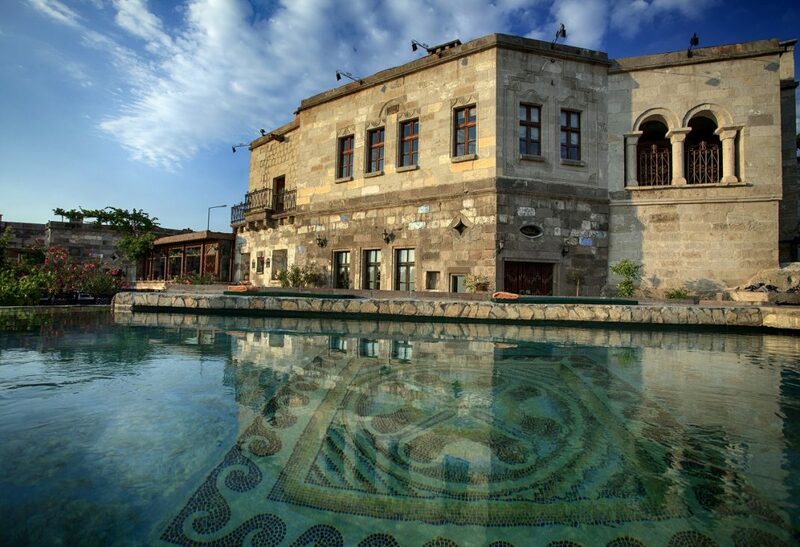 Cappadocia Museum Hotel is located in the area, just a 9-minute walk from Uçhisar Castle. The Güvercinlik Valley and the Roman Castle are a half-hour walk away. You need to walk a little more to see the Love Valley, which does not fall from languages, but if you wish you can come here in 10 minutes by taxi. Museum Hotel is located in the heart of Cappadocia. You can especially explore the Uçhisar area step by step from your hotel. You can reach other regions such as Göreme, Avanos and Ortahisar in a short time with the help of a vehicle. You can start your journey by drawing a route to yourself, you can get to know Cappadocia better in every step. You can choose Kapadokya Museum Hotel to spend a joyful holiday, be fascinated by the unique beauty of the fairy chimneys and buy souvenirs from the narrow stone streets of Uçhisar. Cappadocia Museum Hotel, which does not make concessions from a quality service understanding, allows you to have a dream holiday. Hotel prices may vary according to your accommodation preferences. The price that a single person will have to pay according to a family will be different and the service options that will be received affect the price. Prices start from 200 Euros are shaped by preferences. Cappadocia Museum Hotel is a perfect place for those who are looking for a perfect holiday. Cappadocia, which you will not stay in the hotel where you cannot unstable and you can dream of a holiday in the land of the fairy tale, you can choose the Cappadocia Museum Hotel. The only thing you need to do to spend your honeymoon holiday with surprises, wake up to a breathtaking view of Cappadocia every morning and participate in various activities is to come to the Cappadocia Museum Hotel. If you want to spend, a peaceful time with your loved ones at the pool, to experience hot wine treats and to start your day with a breakfast that will increase your energy, you can choose to use the Cappadocia Museum Hotel. In this place where you will have no problems with cleanliness, hygiene and comfort, you will only have a pleasant holiday. Museum Hotel has been carefully designed to provide you with all the necessary information. Museum Hotel provides the opportunity to take a cooking lesson, stay alone with nature in the valley excursions, entertain your loved ones in your special invitations and taste the dishes from each other.